What's a teacher to do when a few students have finished an assignment while other students are still working? Make the most of those precious minutes by offering the "fast finishers" fun-to-do learning activities. 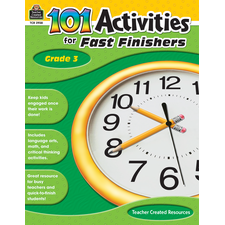 Choose from Lively Language Arts activities, Mind-Bender Math activities, and Beyond Brainy activities that focus on critical thinking. Each activity is labeled with an estimated amount of time it will take to complete, usually just 5 to 15 minutes. 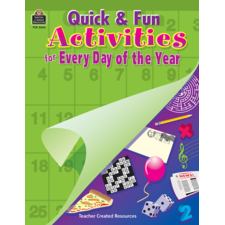 The activities also come in handy for substitute teachers and on days with unusual schedules.